The Rollerblade Macroblade 100 Inline Skates offer a new design which increases performance and comfort. From speed to stability, any serious skater will fall in love with these skates the moment they step into them. Built with a Macroblade Shell, these skates have unprecedented support and comfort so that you can get the most out of each stride. The Form 5 Star Fit with a Training Footbed not only ensures comfort but also makes you feel like you're in a skate that was specifically designed for you. The Extruded Aluminum Twinblades Frame maximizes performance by allowing a great amount of energy transfer from your feet to the Supreme Wheels. The Supreme Wheels, at 100mm, will get those speeds up so you can feel the wind blowing through your helmet as you race along the trails. 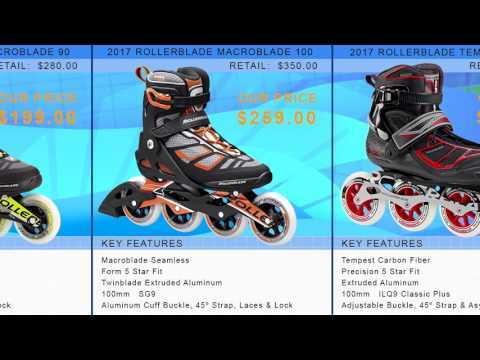 When you're looking for a high performance fitness skate with all the bells and whistles then you'll want to definitely check out these Rollerblade Macroblade 100 Inline Skates. Extremely comfortable, great speed, eats up rough terrain for breakfast. The macroblades have great ankle support, a flexible yet sturdy boot, and quality lining that conform to my feet exceptionally well. While it takes effort to pick up speed and maneuver with these skates, this works in their favor as a fitness skate since they give you a great workout and a lovely rush once you reach top speed. While it is still possible, you will be far less likely to trip or lose balance due to debris and rough terrain thanks to the large wheels. These skates also require practice to control speed beyond the use of drag stops. I do not recommend using the brake included in the box as the frame is already quite long without it attached and your mobility would be significantly limited with it on. The buckle, strap, and laces are quite good as well, though the length of the top buckle makes it somewhat difficult to secure as tightly as I prefer. Additionally, these skates were not built to take a beating and would likely wear down quickly after a few severe falls, so I would not advise taking many risks while using them. A: Deborah, I would absolutely recommend that you check out the women's version of this skate. The Rollerblade Macroblade 100 Womens will offer all the same performance features as this model but will offer a women's specific fit meaning it will be slightly narrower with a slightly lower cuff. This will accommodate a woman's foot shape much better and will in the end give more of a performance fit. You really want an inline skate to fit snug as this will allow better power transfer from you to the skate giving you the most out of each stride you take. Hope this helps, and have fun skating! 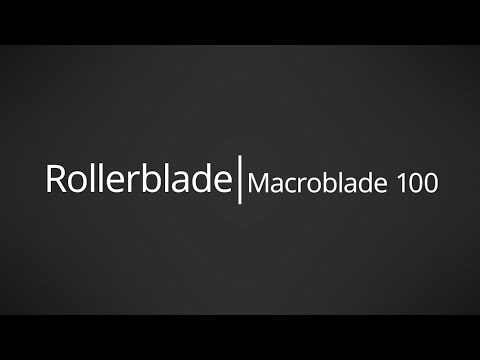 Q: Does the Macroblade 100 have a brake? Specs say yes, but not in photo. A: Brake is in the box with the skate and comes with the proper hardware to attach it. 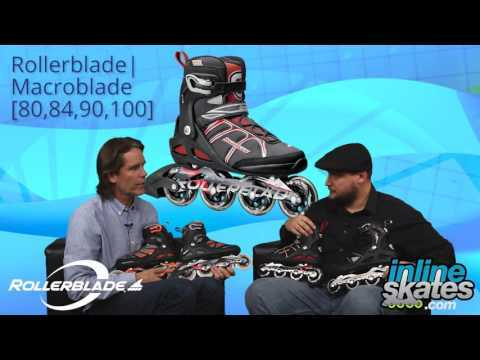 Q: How much does each Rollerblade Macroblade 100 (men's 12) skate weigh?